Lynn Palm. Photo by Cappy Jackson. Most people who do any type of exercising know the importance of a warm-up. 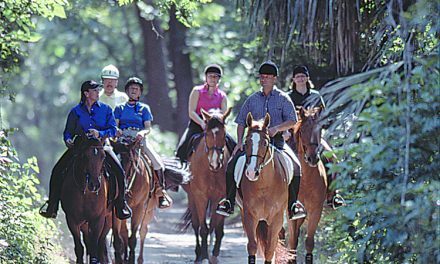 When riding, including a warm-up helps the horse loosen and limber up his muscles after standing in the stall or pasture. It prepares his mind and body for the work you will be asking him to do whether it be schooling, trail riding, pleasure riding, or showing. The same principle applies to warming up ourselves before riding. The warm up is time for the rider to get into correct form and balance as she warms up her muscles and joints. I find it is a precious, pleasant time when I reconnect with my horse before starting the more serious work at hand. Here are some tips for making your warm up time more effective. 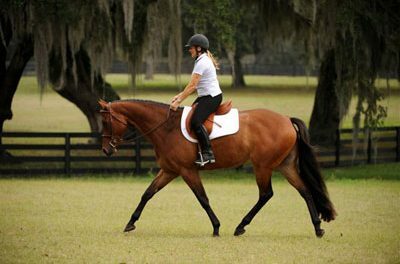 Start the warm up by letting your horse walk on a loose rein. 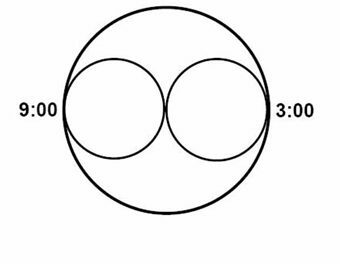 The warm up pattern should include very large circles, large turns, and straight lines. The horse should be moving forward, but relaxed. After warming up at the walk, ask him for the trot or jog. The trot is the best gait for the horse to limber himself up. At this point, the rider should not be worried about the horse being “on the bit”. Instead he should just be allowed to move forward on a loose rein with the rider guiding him to stay on the circle, large turn, or the straight line. Remember the rule of thumb to equal the amount of time going in one direction as the other. Change directions to limber up both sides of your horse and help keep his interest during the warm up. I recommend that the rider, even if using a Western saddle, post when trotting/jogging during the warm up period. This gives her the opportunity to warm up and use her muscles. As she begins to get warmed up, she will notice her muscles respond better. Her coordination improves. Her thinking slows. She begins to relax as her warmed up body allows her to better follow the horse’s movement. 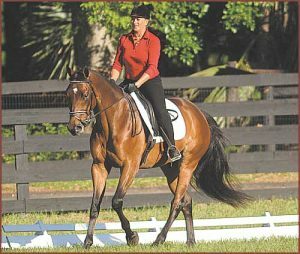 As part of the warm up, the rider can try taking her feet out of the stirrups to get down in the saddle and closer to her horse. As her body warms up, she will find she is able to follow the horse’s movement even without stirrups, and stay in balance! Our next articles will turn to one of the most important keys to riding… the use of the rider’s hands, seat, and legs. These “natural” aids influence how she communicates to her horse and responds to him. 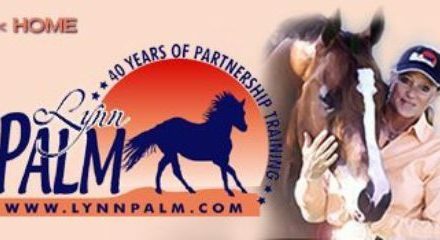 If you want to learn how to “speak” to your horse with aids that whisper, instead of shout, don’t miss our articles. I am often asked, how much time should be allowed for a warm up? The answer is: there is no set amount of time. It depends on many factors that you, as the rider, must take into account for each ride. The colder the weather, typically the longer and slower the warm up should be to loosen up cold muscles and joints. It must be long enough to physically and mentally warm up the horse up, but it is not intended to wear him out or bore him! Enough time should be spent so that both sides of the horse are equally warmed up. For the rider a good gauge of how long her warm up period should be is that she should feel the same balance and relaxation without her stirrups as with them. At the end of the warm up, the rider and horse should feel good and positive about the next step they will take in their riding.